It was with a gleeful heart that I learnt yesterday that you’d heard the cries of the people of our land and because of your generosity, decided to oblige and offer a price reduction for your packages. We’re also happy to note that unlike previously where Zimbabweans would pay a substantial amount more than those in South Africa, with your new adjustments we have a comparable fairing. I know that some of your detractors will say that you’re only reacting this way because of a seemingly new kid on the block called Kwese TV. But how could you? You’ve been hearing the cries of people throughout the African continent and reducing prices elsewhere and not just here. And after all, you have Zimbabwean Government shareholding, so how dare Strive Masiyiwa think he can stand a chance against you? Anyway, let me not digress into politics, a field I’m neither competent nor capable of commenting on. I write to you my earnest entertainment provider as someone who’s been willfully paying my monthly subscriptions ever since our local broadcast couldn’t satisfy our needs. I write as someone who contributes to the significant US$45m that you get from Zimbabweans half-yearly. Anyway, just in case you’ve been too glued to your TV sets which continually screen repeats and have missed the local news, there’s a new payment method in town called ‘bond notes’. Zimbabweans have been having a challenge in making payments to the extent that as Techzim, we’ve been updating your customers monthly of what the new payment methods are. Sadly, it’s become increasingly difficult to make payments in ‘locally acceptable currency’ to your offices. Also, I notice that you’ve cleverly moved payments from yourselves to the banks and when one questions any of your employees as to why we cannot swipe or pay using ‘local currency’ (that’s traded at 1:1 with the USD) your employees tell us that you don’t accept payments but you’ve partnered with banks to handle the same – clever move I must say! But….does that mean that I should be directing this request to my bank? When I talk to the teller serving me, they tell me that they have to remit DStv payments in hard currency and so they want to safeguard themselves hence they request USD. And to do this wonderful service on my behalf they happily charge me an extra US$5. Mind you these are the very same banks that give us bond notes for the USD in our accounts but won’t accept those bond notes back. Yes, I know, I know, this is between me and my bank, but I’m just letting you know of the challenges that we, your customers, whom you love so much that you were willing to reduce prices for, are going through in order to make payments to you. If anything, engage the banks and find out ways that you can accept our locally acceptable payment methods, might be nice for you to consider even opening a local bank account (if you don’t have one already). I look forward to hearing from you but better yet, I look forward to going to your offices and swiping to pay for my monthly subscriptions. It would really be nice if we settle this amicably, I mean, we don’t have to drag each other to court over such issues as was done to you earlier this month. P.S. Some of my friends are telling me that when all this madness is over, they’ll be sure to remember those who stood with them and heard the pleas of their heart’s, but hey, that’s them, I just wanna share what I’m going through to make payments. The article lacks an understanding of the economics at play here. Bond notes have no value outside of Zimbabwe. DStv pays in USD to acquire the content they screen. They have to recover the cost of that acquisition through payments subscribers make. If Zimbabweans are allowed to pay using ‘sand’, then they might as well operate at a loss. 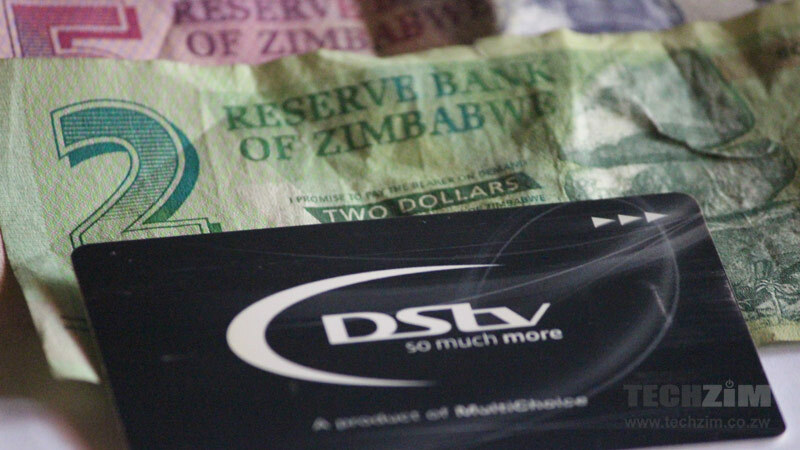 It’s a national problem not a DSTv problem, to say DSTv should find a way is to be naiive of the fact that bond notes is actually not real currency and it is not just affecting DSTv but many sectors of the nation to the point that even ZESA has issues with paying ESKOM for electricity clearly that should speak volumes to anyone of the effects of the bond notes on our nation. it is my opinion that you may be slightly uneducated or just plain dumb! This! Ive had a hard time understanding why people refuse to see the obvious. The only content provider they could possibly pay in bond notes is zbc! Techzim has proven to be a quite helpful resource over time for a lot of information regarding the tech world both internationally and locally but after reading this article I am beginning to have doubts in the legitimacy of your articles this article lacks facts and appears to be bias more than factual. DSTv has never taken cash payments for subscriptions it has always been through the banks. That last part of “DStv has never taken payment is not true. Please revisit your facts then we have a thoughtful discussion from there. William, DStv hasn’t ever taken cash payments was the comment. Sorry, correction, MultiChoice Zimbabwe hasn’t taken cash payments. i challenge the author to take his bond notes to SA and try pay for his dstv there with his bonds! Why pay in bond notes in SA? We are in Zimbabwe and we will do as we are supposed to be doing here NOT as we should be doing in SA. Do you mean SA people do NOT pay in Rands? They do. The simple reason is that its their local currency. We should be able to pay in our local currency which – according to the government – is a medium of exchange. DSTv should accept this or give us an option which is not ridiculous like the “Pay in USD ONLY” one which they are currently availing to us. 2. they say they have reduced their prices. SMH. You and I will still feel the pinch of that additional $5 the banks are charging and the rate of exchange from the ZWBond to the USD.